Are you tired of avoiding weak WiFi zones in your house or home-office and always having to reconnect to your router every time your smartphone gets bumped off the network? Are you perpetually concerned about the security and privacy of your WiFi network? Perhaps, it's high time for you to invest in a Mesh WiFi System by a reputable tech company. Here's one that you might want to check out. On July 30, 2018, in line with celebration for its 30th year of networking and WiFi innovation for the home and business, Linksys announced the availability of its Velop Whole Home Dual-Band Mesh WiFi System, which is a smaller and more affordable than competing products and is built as the world’s first mass-market flexible WiFi System. 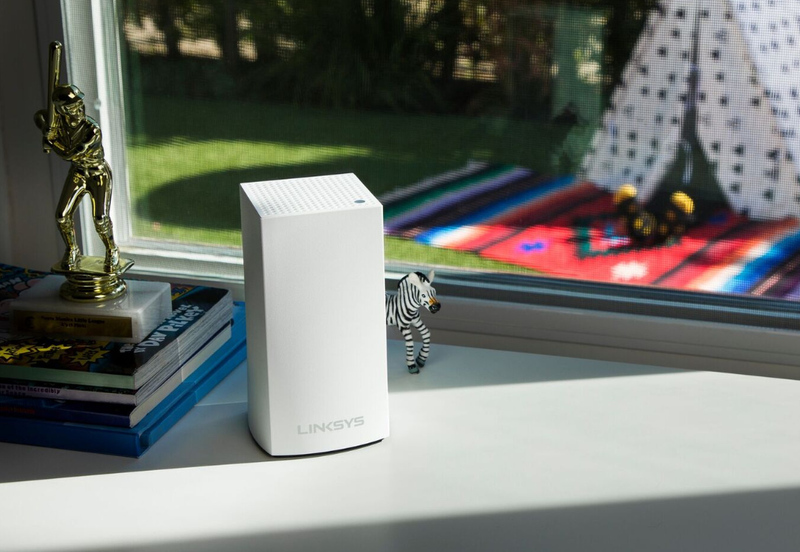 This new product provides all the same award-winning and powerful software features found in the more expensive Velop Tri-Band offerings, which include Intelligent Mesh, Amazon Alexa Compatibility, Website Blocking, Advanced Parental Controls, as well as ease of use and set up with the Linksys App -- all in a smaller form factor with Dual-Band technology and a more pocket-friendly price. According to Mr. Jason Villados - Country Sales Manager at Linksys, "Velop is now the most flexible whole home mesh WiFi system on the market. We have a Velop offering that fits any home or small business environment as well as options for different broadband service packages to deliver the best WiFi experience for all the devices on the network." He added, "Our new Velop Dual-Band provides the price for performance that customers are looking for plus all the intelligent software and security features that continue to be updated for real time access to the latest enhancements." Linksys Velop Home Dual Band Mesh WiFi can be installed in various mesh configurations to support any type of home, floorplan, or WiFi footprint. Velop is compatible with any ISP modem or gateway, including PLDT Fibr, PLDT Home DSL, Globe Broadband, and even Converge. Hence, you are covered regardless of which ISP you are signed with. Linksys Velop nodes can be placed anywhere in your house or home office. Linksys Velop units or nodes are 100% interoperable and interchangeable and they are also made for easy upgradeability based on the customer's need. Designed for performance as well as elegance, Linksys Velop nodes are about two inches shorter than the Velop Tri-Band solution, making them small enough to be placed anywhere. They also have a clean and attractive look that appeals to everyone. The nodes work together to create a veritable WiFi system that provides reliable wireless connectivity throughout the entire home with no weak WiFi zones. 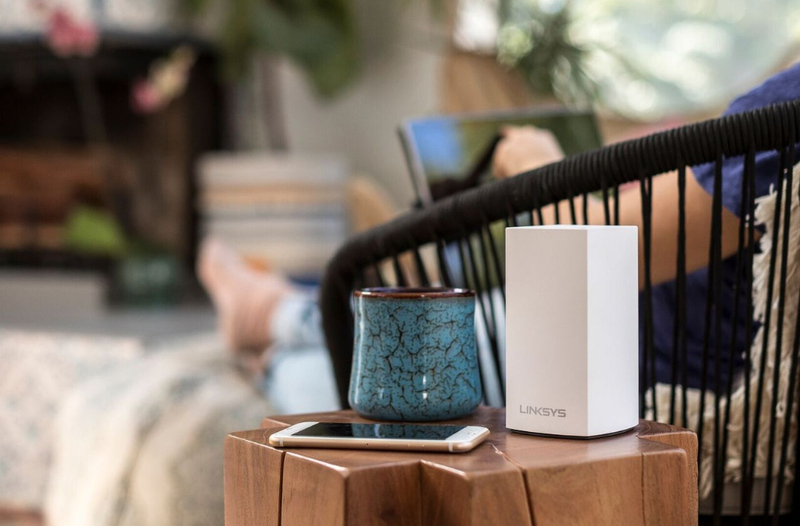 Each Linksys Velop “node” is a powerful Dual-Band AC1300 that can be connected to each other wirelessly or by Ethernet for the fastest, most reliable connection. This is an ultra-simple and powerful system that uses only one WiFi network name and password to give users seamless and highly secure WiFi. Velop Dual-Band also leverages on Linksys' Intelligent Mesh Technology, which is an evolution in Home WiFi engineering that combines Linksys software and hardware to deliver WiFi connection via the fastest path to the internet for the most enjoyable experience possible. This innovation also helps provide better speed at distances, seamless client handling between nodes, and dynamic improvements to back-haul to always ensure the fastest and most reliable connection to the Internet anywhere in your house. The user can easily set-up the Velop system from an Android or iOS device using the free Linksys App. The Linksys App also serves as a powerful WiFi management tool with useful features such as guest access, parental controls, device prioritization, and insights that help Velop users get maximum performance, security, and utility from their ISP or network. Linksys Velop Home Dual Band Mesh WiFi System is now available in the Philippines with price starting at PHP 5,995 for one node and PHP 15,995 for a three-nodes package.